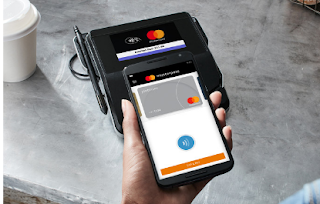 With Masterpass digital wallet you can easily create a payment system where you site visitors or clients can pay for goods or services you render. Masterpass incorporates 3D secure connection system, so it is time you start converting browsers to buyers! 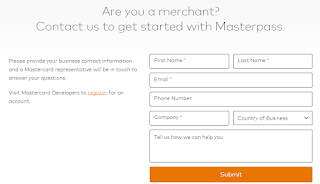 As a service provider, you can offer your merchants Masterpass at checkout. You only need a very simple integration process. 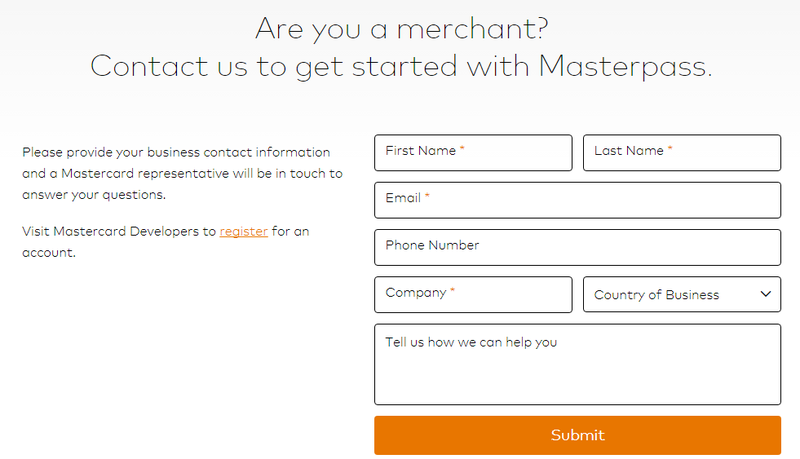 With masterpass, your customers can easily, quickly and securely pay for goods or services after shopping. As a site developer, you can easily create your account, access resources, setup your keys, integrate into your code, submit for approval. All you need do is follow a simple set of instructions step-by-step to set up masterpass and get it running. With Masterpass you can accept varieties of digital wallets with just one, easy-to-implement checkout button. Accept all digital wallets that are integrated with the Masterpass Acceptance Network—easily and without cluttering your checkout page. To signup for masterpass visit masterpass.com and click signup. Normally before you can signup as a masterpass merchant you be given an invitation code by a masterpass agent. But if you don't have this code you can click here to contact masterpass and you will be contacted. To signup as a consumer is more easier. When you hit sign up you will be asked to provide your email or phone number. provide it and verify with captcha, next hit the signup key and follow the procedure.